Dog tag Necklace in sterling silver. 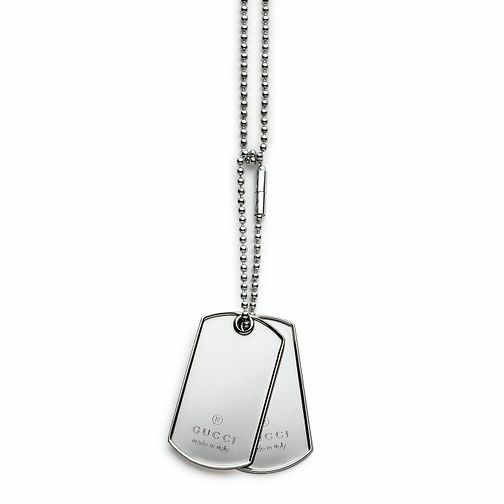 Gucci Dog tag Necklace is rated 4.0 out of 5 by 1. Rated 4 out of 5 by Anonymous from ?As expected Bought the item to have some medical info inscribed and it does the job just fine.